So, I'm still loving the Simply Colour Ombre jelly roll - might be because it hasn't got tidied up off my desk yet! I have been loving all the hexagons around at the moment and decided to have a play. These are hexagons, but they look like cubes!!! This really freaks my 9 year old son out - he doesn't like optical illusions. I toyed with the idea of EPPing these diamonds, but I had the need to get this out of my head and into reality NOW so I machine pieced which was a lot easier than I thought. I have just noticed that 2 of the cubes are the wrong way up. fortunately they aren't pieced yet so I can rearrange. I am thinking white around it (rather than my fetching ikea mat!) to make it a rectangle to hang on the wall - just haven't worked out how to cut that yet - any suggestions? 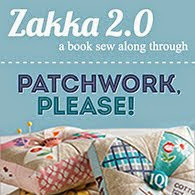 Linking up with Lily's Quilts for the Fresh Sewing Day and the Small Blog Meet and also to Lets Get Aquainted which is at Quilts in the Queue this week. A great choice of the ombré for the cubes. Not sure about the background but loving it so far. oh I love those thumbling blocks! Looks great in solids! Love the cubes - the colors are perfect! Looking forward to see the your progress on this quilt! that looks so cool! what a great illusion and a great use of those hexagons! Fabulous collection of cubes. If you had not told me there were some blocks out of place I would not have notices. Nice work. That really is an amazing optical illusion! I love how the dark and the light adds to the dimensions of the cubes. Beautiful! Maybe piece in some white hexies to allow you to trim to a rectangle? Love these colors. 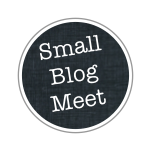 Thanks for linking up to Let's Get Acquainted this week.